Francis Moran & Associates > Content marketing > Is your app ready for social media marketing? Every where you turn, there’s an article, blog piece or tweet expressing the importance of using social media to market your product or service. You get the feeling that if you do not embrace social media to market your product or engage with current and future customers, you’re doomed to failure. In principle, I wholeheartedly agree with this sentiment, but I question whether it’s a “must-do at all costs” kind of scenario. My worry is that businesses — new or established — launch head first into a social media plan without really thinking about whether the timing is right. I suspect in many cases that the timing is too early. In other words, is your product or service ready to handle the potential outcome from the social media cauldron? To outline what I mean, I’ll use my experience writing and bringing my iPhone app, myFabWines, to market. On August 1, myFabWines was live in the iTunes App Store. Sales to date have been decent, and I have not done any real marketing other than creating a web site and talking to friends and family. During this time, I’ve had some suggestions about what the next version of the app should contain. Many of these requests are actually quite brilliant, others are rather run of the mill. Nonetheless, I realized that in order to satisfy a larger market — i.e. appeal to a wider audience — I need to implement some of these brilliant suggestions. Bit of a sidebar here — I’ve written a number of posts about the importance of defining an MVP and focusing on getting to that target as quickly as possible. The challenge i, that it’s difficult when defining your MVP to know whether the MVP will satisfy a large enough market and also garner enough positive comments and reviews to help your sales. User expectations of a product are so high these days, that anything less than the top apps will generate less than stellar feedback. A number of years ago, I did a site visit at one of our business customers. The search capability in our product was adequate, but the user wanted search capabilities like they were used to in Google. So even though Google had nothing to do with our product, the user was so used to the Google experience that they wanted that capability on our product. A couple of decades ago, this was unheard of. Back on track here. It’s a well known fact that bad reviews will negatively impact your sales. It is almost impossible to recover from a whole host of negative reviews and comments. Users do not hold back when they post their opinions and ratings in public places; bad reviews on the iTunes App Store, for example, can be deadly. 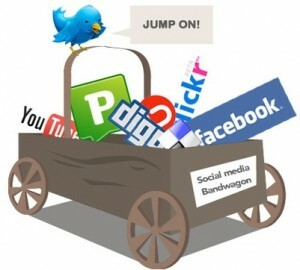 So the crux of the question is, whether your app is ready for social media marketing. We’ve heard, seen or experienced the potential cyclonic nature of social media. Tweets, postings and pictures have the potential to go viral, whether the tone is positive or negative. So if your app is not ready to handle this potential barrage of negative comments or reviews, then do not engage in social media. It is tough to know, when you first put your app up for sale, whether the comments will be positive, negative or neutral. So before your app goes live, make sure you truly understand the tone of your Beta users. Make sure you understand why they are asking for the features they are asking for. The result may be that it is best not to go live until some of the deficiencies are dealt with. Or, maybe it is worth taking a chance. If you decide on this path, talk to your early users and find out what they think. What features should be added? What features should be cleaned up? I contend that you have to go through this step before engaging in a social media campaign. Why would you knowingly set yourself up for potential failure? A few minutes with your early users will hopefully save you a wealth of bad comments and reviews on social media that could materially impact your sales. Peter Hanschke is an Ottawa-based product management specialist.